It feels more like spring today than winter so let’s think about spring! We are looking for several additional service technicians to join our team including a termite technician! Service technician work can be very rewarding! You are the hero that solves our customers’ pest problems! 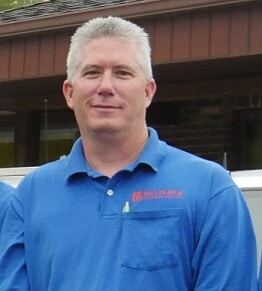 You create relationships with our customers each time you do their preventative maintenance work. You get to work by yourself and drive a company truck; but you don’t have to find your own customers! We provide each day’s schedule full of customers ready to greet their Reliable pest control technician. If you are reliable, dependable, hard working, and full of integrity apply now! September Small Business of the Month Winner! 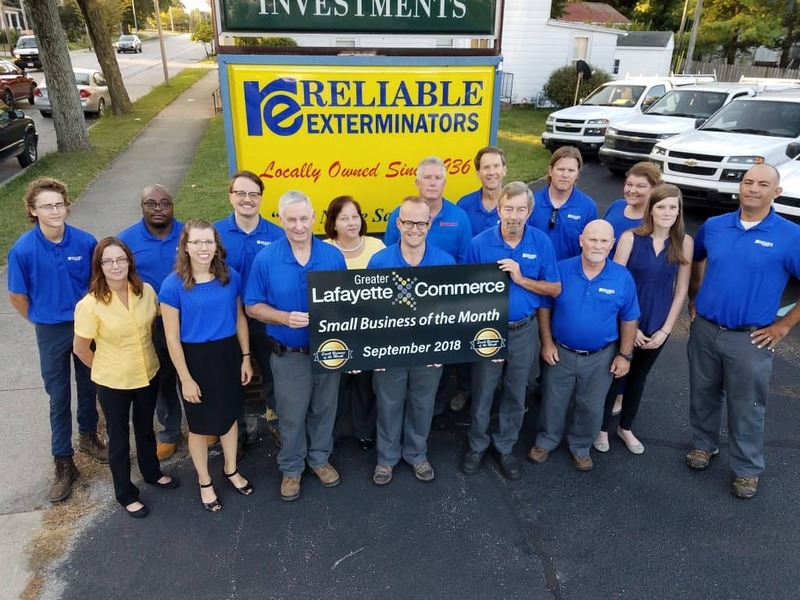 Greater Lafayette Commerce has awarded Reliable Exterminators with the September Small Business of the Month (SBOM) award! We are honored to be recognized as a quality service provider to the community and grateful to our loyal customers for trusting in us! We were judged on our level of community involvement, Greater Lafayette Commerce (GLC) involvement, and quality of responses to the application questions. Check back here soon for a press release detailing our history and community involvement by Kathie York for the GLC. In the mean time, we are grateful! We couldn’t have received this award without our wonderful staff. Our office staff consists of four Customer Service Reps who know the latest pest control treatment methods and can advise customers on their specific pest problems. When customers call the office, they talk to a knowledgeable CSR right away. There’s no phone tree to navigate! It’s easy to make an appointment. 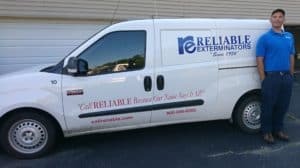 Our service department is comprised of 11 fully licensed pest control technicians who provide professional, individualized treatments for our customers. Each technician can diagnose and treat pest problems at each appointment. Our technicians are clean cut, trustworthy, and educated. Just look at our testimonials page to see how much our customers appreciate our techs! Our business wouldn’t be around without the leadership and perseverance of 3rd generation owner Bob Hanstra. He has faithfully led Reliable for 43 years and maintained the trust of our community that was initially earned by his parents Jim and Phyllis Hanstra and our founder Charles Partlow. Now Bob is grooming his daughter Andrea and husband Philip to be his successors in serving Tippecanoe and surrounding counties. Thank you to our hard working staff, committed customers, Greater Lafayette Commerce, and all glory to our Heavenly Father! There may be snow on the streets but we are preparing for spring! We are looking for one additional service technician to join our team. 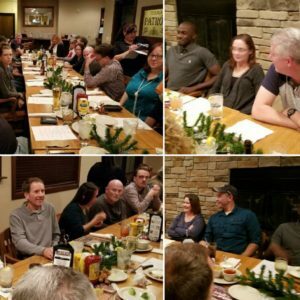 To thank and celebrate our employees, Reliable hosts dinner and crazy bingo every year in December. We had a lot to thank them for including 3 major anniversaries. Geanie (top left in teal shirt) has been advising our customers over the phone for five years! 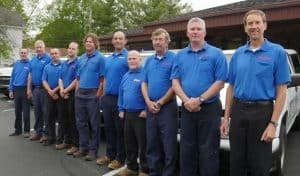 Jeff (top far right) has treating pests in Rensselaer and Monticello areas for 20 years; and Jim (not pictured) has been serving the Lafayette and Attica areas for a whopping 25 years! They each were presented with a commemorative plaque. Our employees are the best! One usually does not seek out the pest control industry when dreaming of careers but in reality it can be quite rewarding. Our customer service reps are often thanked for helping customers though challenging pest situations like finding bed bugs for the first time or discovering the source of persistent pantry pests. They often share free advice to customers that call or walk in to the office for simple pest problems. For more complicated pest problems, our CSRs schedule appointments for our friendly technicians. Our technicians are the face…and hands and knees of the company. 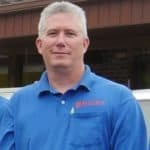 While they do get to meet our customers and be the heroes to catch the mouse or get rid of the ants, they are also the ones on their hands and knees in crawlspaces looking for termites and pests. Our technicians aren’t afraid of getting dirty or going where no one has gone in 30 years, like a farm house attic! We are grateful for their pest knowledge and persistence to keeping our communities and restaurants pest free! Reliable wishes everyone a Merry Christmas and Happy New Year! We are mourning and celebrating the life of our dear matriarch Phyllis Hanstra. She has been instrumental in the integrity and legacy of Reliable Exterminators. Once her husband Jim Hanstra purchased the business from his uncle Charlie in 1971, she became involved, supporting Jim, doing accounting, and making calls from home after hours. It wasn’t until 1982 that she became full time. 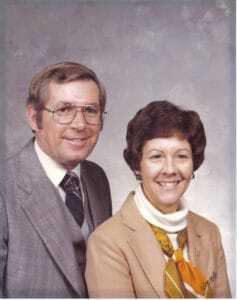 After Jim’s sudden heart attack in 1982 at age 50, Phyllis and son Bob were faced with the decision to continue Jim’s work with the company or sell. With faith in God, they chose to keep the company; and God has blessed it ever since. Phyllis ran the office and route scheduling for 30 years. She knew customers by name and had several phone numbers and addresses memorized. With an impeccable memory, she knew where each technician was each day and how each account should be serviced. She knew as much about insects as the technicians and advised our customers accurately. She was active in the Indiana Pest Management Association and helped start the Professional Women in Pest Management Association, a division of the National Pest Management Association. She worked until age 77 when she handed over the scheduling book to granddaughter Andrea Patrie. 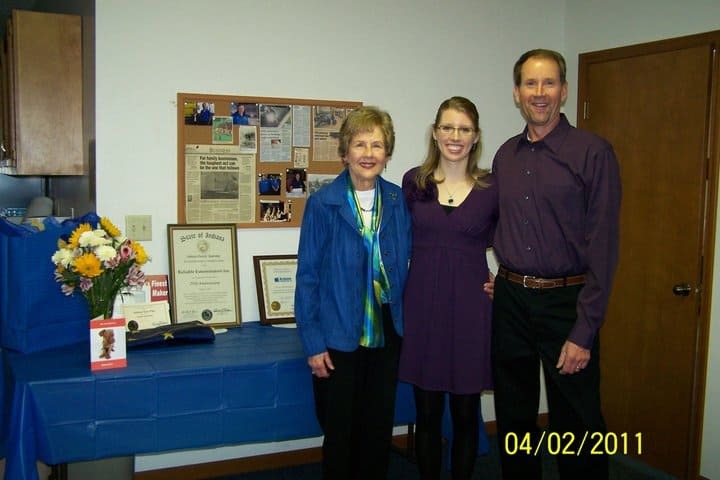 We celebrated her retirement and the company’s 75th anniversary in April 2011. Phyllis loved getting family together, playing card games, and cooking. 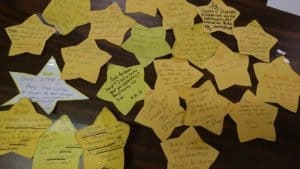 She appointed herself as the welcome committee of her church, Sunrise Christian Reformed Church, and made a point to welcome every single new person, especially the twenty somethings. She hosted dinners several times a month at her house, cooking for up to 30 people sometimes. Phyllis peacefully went to heaven Sunday morning to be with Jesus and her husband Jim. She was surrounded by her family the week before she went. It’s been 35 years since she saw her husband, and I’ll bet they’re having a great time together again now. She will always be remembered in our hearts and her legacy will continue at Reliable Exterminators. Phyllis Jean Hanstra, 84, of Lafayette passed away on Sunday, October 8, 2017 surrounded by her family at Franciscan St. Elizabeth East Hospital. Phyllis was born August 19, 1933 in Lafayette to the late Fred and Dorothy (Vanderkolk) Sietsma. When Phyllis was just 19 years old, she flew to Alaska to marry the love of her life, Jim Hanstra. The couple lived in Alaska for the next 18 months and soon had their first child, Nancy. 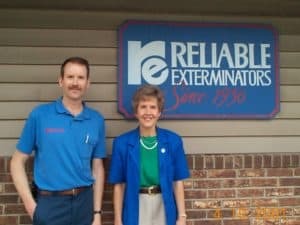 After returning to Lafayette, Phyllis and Jim eventually became owners of Reliable Exterminators in 1971. After Jim’s death in 1982, Phyllis faithfully worked in the business with her son, Bob. She retired in 2011 when her granddaughter Andrea joined the business. 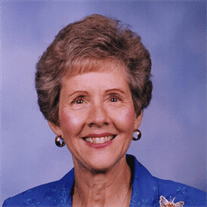 She was a former member of the Lafayette Christian Reformed Church and a founding member of Sunrise Christian Reformed Church. Phyllis loved her family dearly and relished spending time with them. She enjoyed welcoming people at church, entertaining in her home, and traveling, including 47 trips to Alaska. She is survived by her children, Nancy (David) Heynen of Anchorage, AK; Bob (Deb) Hanstra of Lafayette; Linda Cushman of Anchorage, AK; her grandchildren, Jill (Brad) Gaskill of Anchorage, AK; Kirk Heynen of Seattle, WA; Andrea (Philip) Patrie of West Lafayette; Robin (Ramy) Audi of Houston, TX; Tony (Emily) Hanstra of Lafayette; Tyler Cushman of Anchorage, AK; her great-grandchildren, Lauren and Luke Gaskill, Mac and James Patrie; her sister, Martha Smith of Lafayette; and her sister-in-law, Joyce Hanstra of Lafayette. Phyllis was preceded in death by her husband, parents, and sister Patty Burkenpas. Family and friends are welcome to visit on Tuesday, October 10, 2017 from 4:00 PM to 7:00 PM at Sunrise Christian Reformed Church, 909 East 500 South, Lafayette, IN 47909. Funeral services will follow at 7:00 PM officiated by Pastor Randy Bergsma. Private interment will take place on Wednesday at Tippecanoe Memory Gardens. In lieu of usual remembrances, memorial contributions may be directed to Sunrise Christian Reformed Church, Lafayette Christian School, or the Community Cancer Network. Hippensteel Funeral Home is handling arrangements. Share memories and condolences online. Javier is our technician that is known in our office for getting the most gold stars (see this blog post about gold stars.) It’s not an inner office competition but a majority of our customers that call with a compliment are calling about Javier. He’s warm, friendly, caring, and still quick and efficient. Jav says he thinks customers like him because he’s honest and goes the extra mile. If they have a beetle, he could just identify it as a beetle and perform the corresponding treatment. But he’ll look up the beetle at home and call the customer to tell them the specific type of beetle they had. “Customers really appreciate it,” he says. Javier is an “out of town” tech that mainly services Greencastle, Crawfordsville, Frankfort, and Lebanon. He’s been caring for our customers for 12 years now. In those twelve years, he’s gotten married and is raising two children. He is a pet adopter. When someone can’t care for a small pet anymore, Javier simply can’t help himself and usually ends up saying, “We have an extra cage so we’ll take it.” They have cared for several small pets like a lizard, degu, sugar glider (like a chipmunk), several fish and hamsters. When asked, “What is one thing you can’t resist,” Javier responded “my wife”! Now that is one dedicated husband! When Javier is at home, he’s mentally at home and focused on his family. His kids are quite involved in sports so they spend their week nights and weekends at sporting games and camping. Javier also likes to cook and has built a barrel smoker on a trailer that he can bring to his weekend events! Javier recalls the most challenging pest control job he’s ever had. It was an efficiency apartment that had a 12 inch band of bed bug feces covering the wall around the bed and all over the mattress. Between him and another tech, they treated it three times and by the third visit, all the bed bugs were dead and gone! Javier even treated the customer’s motorized wheel chair! If you live in any of the northern counties in our service area (Jasper, White, Benton, Newton, and Pulaski), you’ve probably seen Jeff. He’s been driving a Reliable truck up there for the past 20 years, but most people only know him as “the bug man”. The year was 1997 when we set Jeff loose on the northern territory. 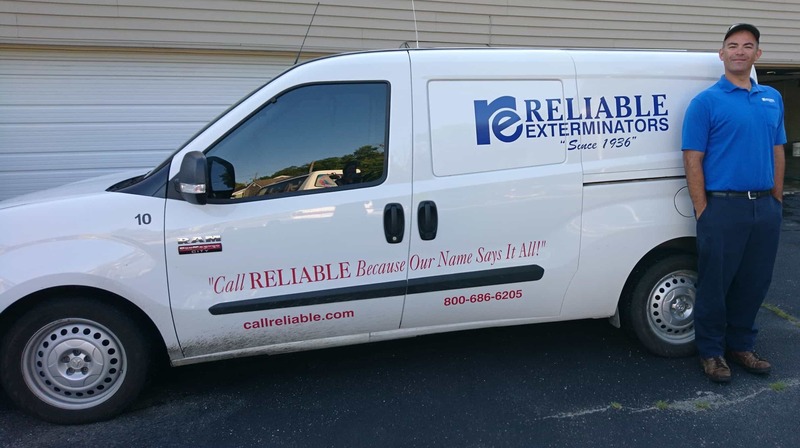 He is quite the salesman and has sold so many pest control jobs that we’ve since hired other technicians to help service the northern counties! He says his favorite thing about his job is the freedom to do what needs done to meet the needs of his customers. As a company we provide our technicians with the knowledge and materials needed for each job. The technician gets to decide how he or she will solve each customer’s specific problem. Jeff has seen it all when it comes to pest control problems. He, along with all our technicians, attend training sessions to learn the most current pest management techniques and products. Jeff is married and his children are grown. He puts family first and then work. The most famous person he’s met is Mel Gibson. Jeff’s favorite snack is fruit although he’s known to enjoy a few Little Debbie treats for breakfast every now and then! Jeff, thanks for your 20 years of loyal service! 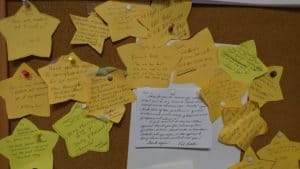 Often when a customer calls and gives a compliment to one of our technicians, we write it down on a goldenrod, star shaped paper to show the technician and post to our bulletin board. We love hearing feedback from our customers and the technicians are really encouraged by the praise! I’d say we get more compliments by phone than any online review sites. Our excellent reputation has been built by 81 years of honest, reliable service and also by word-of-mouth. We consider it the highest compliment when a customer refers us to their friend or colleague. I know that neighbors tell each other about our Homecare Programs that prevent unwanted pests. Businesses refer us to new local businesses to keep roaches, mice, and flies out of restaurants, stores, and factories. 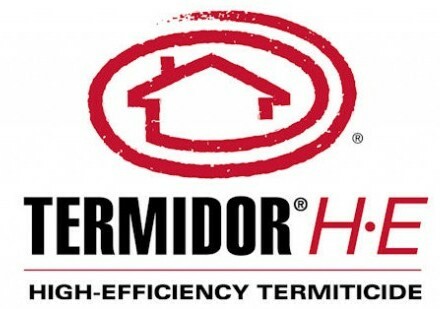 Realtors will often tell new homeowners about our safer and effective termite treatment and renewal program. We can’t thank everyone enough for their support of our family business and on going patronage! 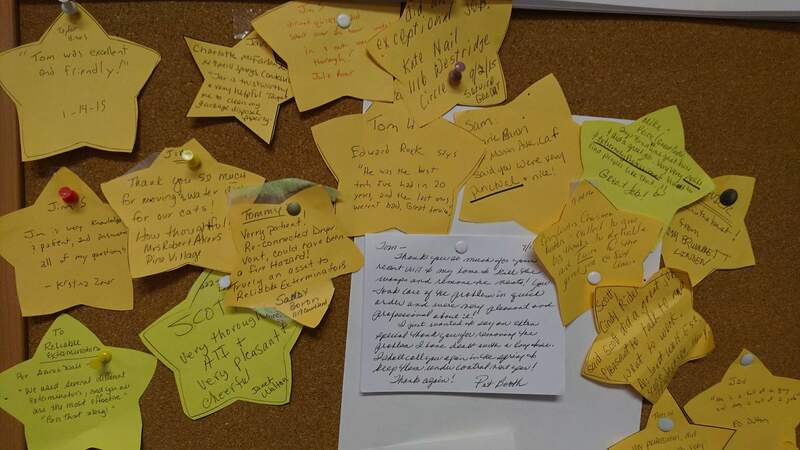 The “gold star” bulletin board was getting crowded. As I removed the older compliments to keep the most recent, I was just so moved by the kindness of our customers to call in and thank us. Tom was excellent and friendly. Deb Hanstra was so compassionate in helping us through our bed bug situation. Steven left nothing untreated and was highly professional! We are so grateful for the appreciation of our customers! Thank you for allowing us to serve you. We are blessed by your kindness! I’d like to introduce each of our staff members through a series of blog posts. We have phenomenal people that work for us and I hope to spotlight each one! Our first employee spotlight is about Geanie. She has been with us almost 5 years and is the only office staff employee who worked with our matriarch, Phyllis Hanstra, before she retired. Geanie was hired as a Customer Service Rep in the fall right during the busy “lady bug” season. Phyllis was part time, Andrea was doing the schedules but about to go on maternity leave, and Bob was getting ready to sub as the main scheduler. Geanie learned quickly how to answer calls and schedule appointments. She is now our most experienced Customer Service Rep and will probably be the one to answer your call!Geanie is from Clarks Hill, with a population of 665. She is married, has 2 children, and 3 grandchildren. One thing she simply can not resist is hugging her grandchildren! A fun fact is that Geanie met the song writer Tom Kelly, famous for writing “Fire & Ice” in 1981 for Pat Benatar. Geanie adds creativity to our office and enjoys dressing up for Halloween. Super Service Award Winner – 6 years in a row! 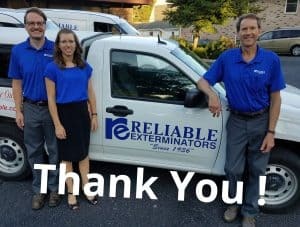 Reliable Exterminators has earned the home service industry’s coveted Angie’s List Super Service Award, reflecting an exemplary year of customer service to members of the local services marketplace and consumer review site in 2016.